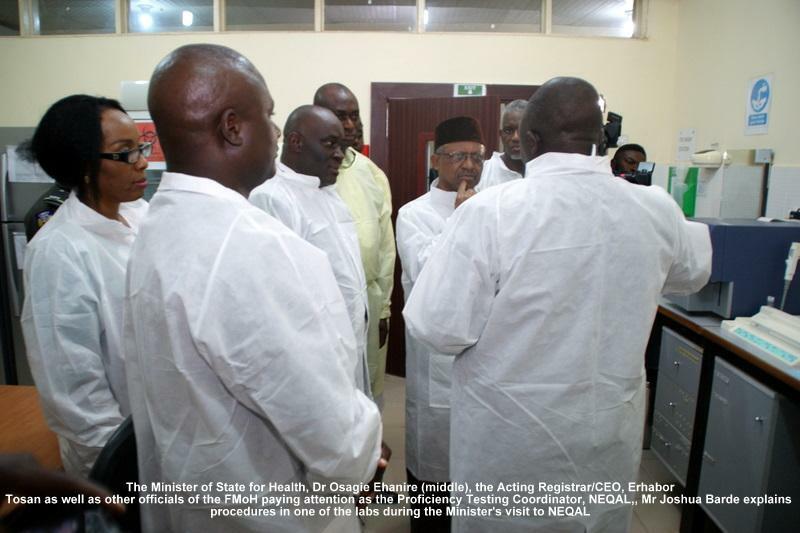 The Honorable Minister of State for Health, Dr Osagie Ehanire on Thursday, March 8, 2018 (today) paid a visit to the National External Quality Assurance Laboratory (NEQAL) at Saye Zaria, Kaduna State. 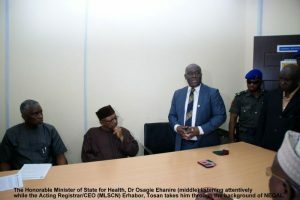 He was received at the facility by the Acting Registrar/ CEO, Medical Laboratory Science Council of Nigeria, who took him on a tour of the facility, which is managed by MLSCN with technical support from IHVN. The Minister of State, while expressing satisfaction with the efforts of the Council at running such a high-profile facility, also encouraged it not to rest on its oars but to do its best to sustain the current standard in the place. I have a positive impression of this facility and what is being done in it. Â You are doing a very good job. We will be good advocates for funding for this place, as we have noted the challenges, he said while commending the staff of NEQAL for their dedication to duty, and enjoined them to sustain such. 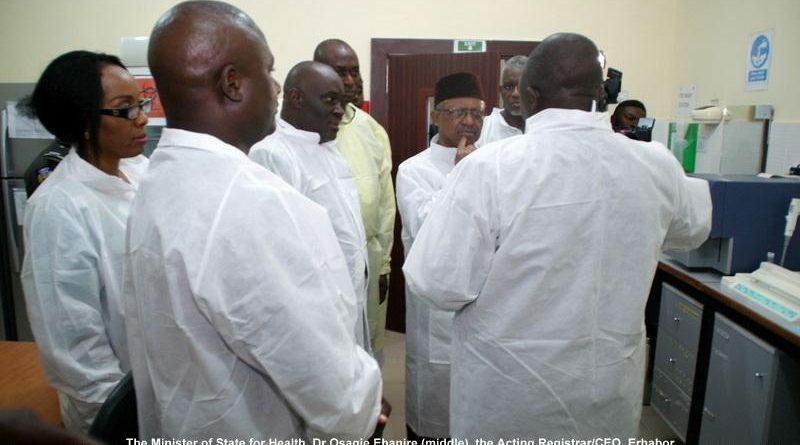 Furthermore, Ehanire noted the importance of laboratories in the health sector, and pledged that the Federal Government will continue to do everything to support them despite the competing demands on its financial resources. 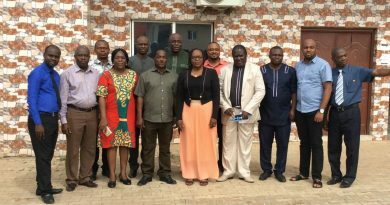 Earlier in his welcome remarks, the Acting Registrar, while intimating the Minister of State of efforts being made towards getting the facility accredited to ISO 17043 standards, noted that such efforts were being encumbered by several challenges, including funding, inadequate accommodation and so on, adding: we and our technical partners, IHVN are committed towards getting NEQAL accredited this year, as well as sustaining the high quality that is obtainable here. But we need the support of the Federal Government to do so. 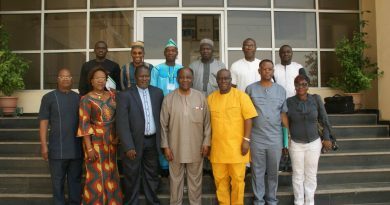 If we don’t sustain the standard of the facility when our International Partners leave, it may not augur well for the health sector. 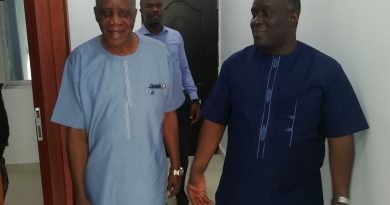 He expressed appreciation to the Minister of State for finding time to visit the facility and for his support to the Council since he assumed office.